Aluminium and aluminium alloys are popular for making lightweight scanning mirrors and galvanometer mirrors, or where weight is an issue such as in aerospace, defence and medical laser systems. 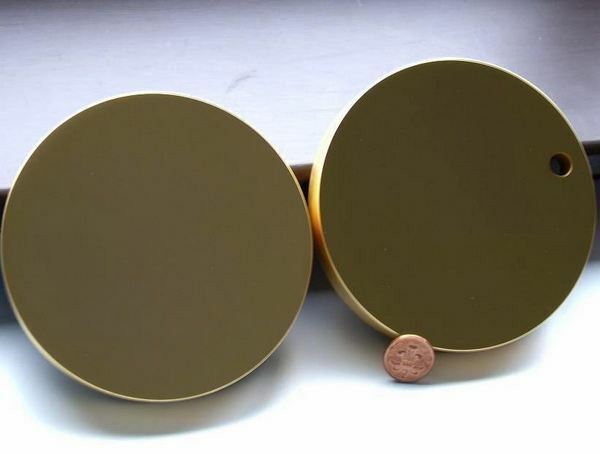 LBP manufacture solid aluminium mirrors that are used as first surface (or front surface) mirrors. 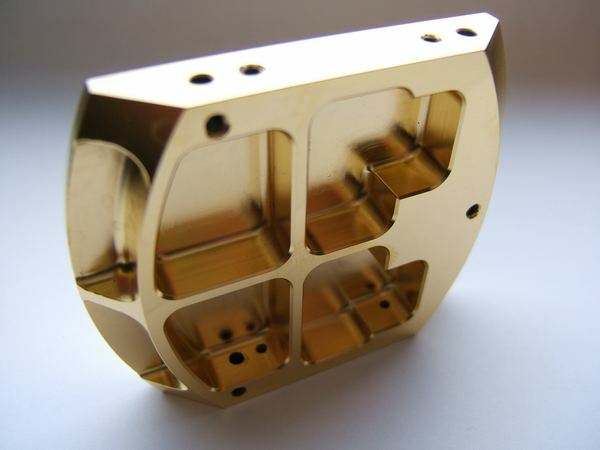 Aluminium substrates are a good alternative to silicon or glass mirrors in flying optics systems, as aluminium is far easier to machine into complex shapes. Further weight saving is possible by using ribbed and pocketed designs on the rear of the mirrors. Our aluminium mirrors are chemically polished. This ensures that the surfaces are super-smooth and free of turning lines, fly cutting arcs and diffractive patterns that are seen on diamond turned (SPDT) mirrors. 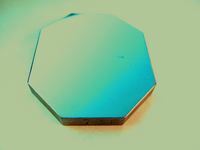 Our aluminium mirrors have no loss of image quality when used with visible lasers. Our proprietary stress relieving and heat treatment gives long term stability and performance across a wide range of temperatures. LBP Optics can make mirrors from intricately engineered parts where one face is needed to be a laser grade mirror surface. We can make flat or spherically curved aluminium mirrors, with a wide choice of reflective coatings. 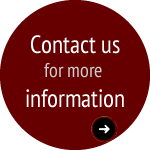 Care needs to be taken to avoid galvanic corrosion when using metal optics. In the presence of moisture or water cooling, dissimilar metals will cause electrochemical decomposition. Our Electroless Nickel plating can reduce this problem. 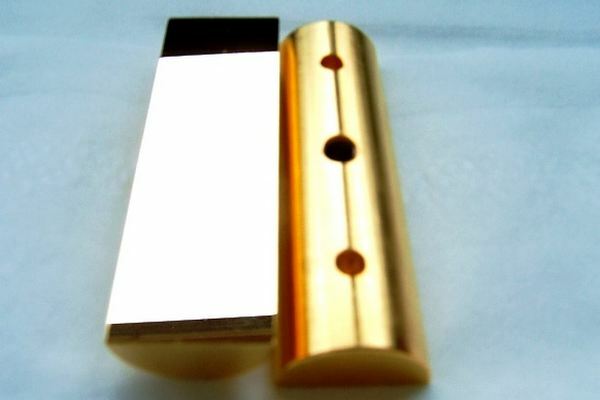 Electroplated Gold coating for infrared, LWIR and THz. MaxR for 10.6um, a high reflectivity coating optimised for CO2 lasers. Protected Silver for visible and near infrared (SWIR). A simple MgF2 overcoat for UV and visible use. It is possible to have a vacuum deposited dielectric coating optimised for other specific wavelengths, or several multiple wavelengths. For example coatings optimised for telecoms wavelengths, 1 micron fiber lasers or for broad IR illumination. To improve the laser damage resistance and reduce scatter, LBP aluminium mirrors have an intermediate layer of electroless nickel deposited. This gives an amorphous, non crystalline surface of exceptional smoothness. Electroless Nickel protects the whole of the mirror from oxidation.